ASX-listed DroneShield has completed a $2.32 million capital raise as the high tech drone security firm looks to cement itself as a leader in the global “counter-drone” industry. DroneShield this week issued 11.61 million shares at an issue price of $0.20c per share to new and existing institutional, professional and sophisticated investors, all of whom were above water post placement with the stock touching 23.5c on the day. The placement price represented a 19 per cent discount to the company’s 15 day volume weighted average market price. In a market update, DroneShield said the monies raised would be used to develop and integrate its drone detection and countermeasure technologies for military, civil infrastructure and other blue-chip customers. The equity raising will also assist the ASX junior to accelerate the roll out of its suite of drone detection and disabling products, expand the company’s sales and marketing efforts globally and be used for working capital. The company, which has a market cap of just over $30 million, sees substantial potential for its innovative range of anti-drone technologies given the global drone market is now worth a staggering $127 billion per year. 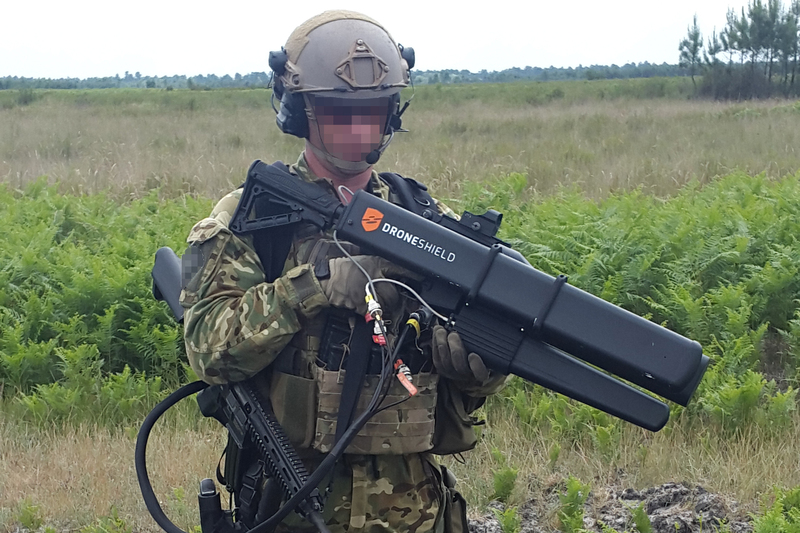 DroneShield -- founded in Virginia in 2014 -- uses proprietary sensor technology to assist security forces to identify unauthorised drones, provide real-time alerts, collect digital evidence and offer countermeasure and drone disabling options. It has already provided its products to high-profile clients including the Prime Minister of Turkey, a major G7 nation, several middle east militaries and to safeguard the recent World Economic Forum. Its first-mover technology was also trusted to protect hundreds and thousands of runners at the iconic Boston Marathon over the past three years. DroneShield already has 100 distribution agreements in 50 nations and remains in talks with military and law enforcement units around the world regarding the possible expansion of its market reach. According to management, DroneShield expects to complete several near term orders following strong interest from its investor presentation in October.